MFW and the Italian brands are often pushing the fashion boundaries and exploring new ways to deliver their visions. This year was no exception, but perhaps the very peak of styling and including unexpected runway elements. Gucci, as I’m sure you’ve already seen, sent their models down the runway with heads (!) under the arm. Dolce & Gabbana sent down their it-bags with drones (another !) and Tod’s gave the models company on the runway in form of puppies. Say what you will about all of these (hope the puppies managed the stress of the runway! ), but the Italians knows how to put on a fashion show, with an emphasis on show. Is this the moment? Is this where colors get their true spot in fashion? I hope so as MFW February 2018 included a lot of colors ranging from neons to primary shades to pale pastels and earthy tones. 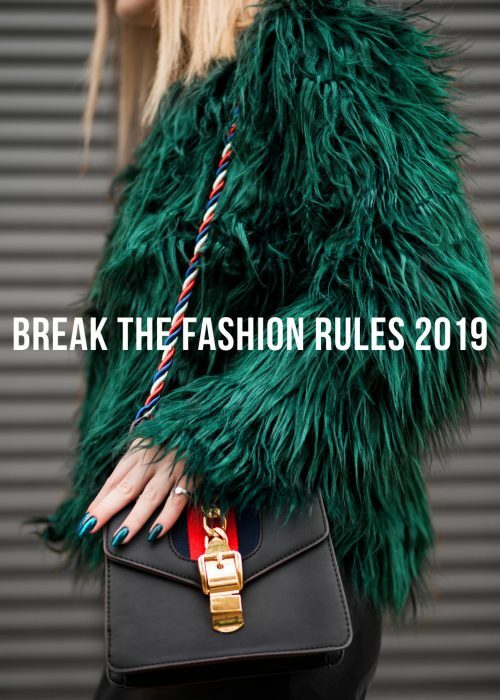 Some designers that worked this includes: Marni, Prada, Moschino, Emporio Armani, Krizia, Emilio Pucci, Jil Sander, Missoni, Roberto Cavalli and Salvatore Ferragamo! I could include more names, but let’s keep it at that. The main point is that colors were included and given the spotlight which is necessary for fall fashion. A colorful vitamin injection done by clothes? I mean, that’s what we need more of! Prada went for the neon shades whilst Marni mixed and matched it all. You can choose whatever you prefer, but red, green and ultra violet are all specifically trendy shades this season! To continue from above: is this the moment? Fair enough that MFW is on another level compared to NYFW and LFW (no offense), but it felt like the designers dared to reach for that extra touch this year? Embodying a modern maximalism (and of course some 80s’ maximalism). It was prints mixed, voluminous silhouettes, a lot of accessories, statement texts, different textures and a good amount of eclecticism. NYFW and LFW included a lot of this too, but MFW elevated by including several elements in one look or all in one collection. That’s maximalism fashion going for that “more is more” life. Perhaps not overly wearable, but a good dose of inspiration of how you yourself can reach for the fashion statements! Prada, Gucci, Dolce & Gabbana, Richard Quinn and Marni were some brands that went max! 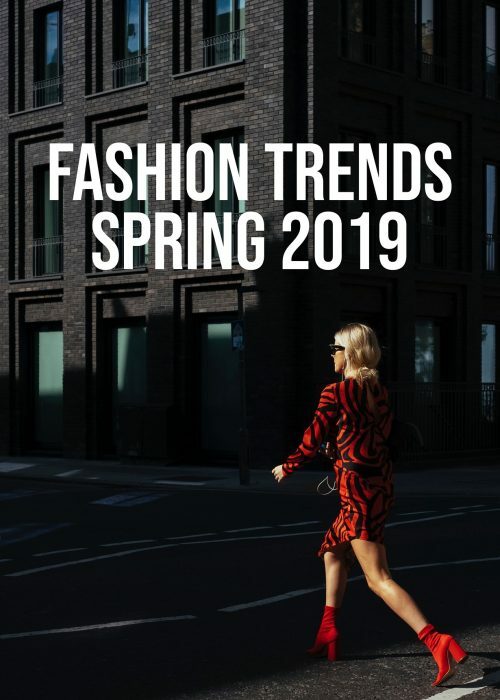 The fashion world and the separate brands are connected indeed and this year’s fashion weeks shows exactly that. What partly trended in New York showed up in London and definitely made its presence known in Milan too. With that said, I tried to focus on trends I haven’t talked about before! With the 80s and 90s being two influential decades at the moment and also decades where sports were in center – it’s only logical that sportswear is gaining in popularity too. The designers of MFW didn’t leave sportswear as it is though, but incorporated the elements in their usual design, giving looks of wearability with the sports twist. A lot of energetic colors, functional garments as well as details, but also some futurism and ski resort vibe. Does that make sense? Don’t know, but Sportmax, Marni and Prada all went for the sporty vibe in their collections! The body part that was most frequently enhanced during MFW February 2018 was the waist. Whether done with a belt, draping or a high waist – it was all about creating that hourglass-silhouette. Marni, Versace and Etro went for the waist statement. If you ask me, I think this trend is the easiest to take after as you only need a belt or something highwaisted and tuck in your top! Perhaps this trend is one I’ve picked out due to confirmation bias as I’m on the hunt for the perfect, timeless and classic camel coat. That’s probably why I search for the camel color as a trend when I’m doing my scanning. Well anyways, the camel color is pretty trendy next season. Perhaps also beige and sand shall be included, but the pale and warm shades are all in style. Alberta Ferretti, Salvatore Ferragamo and Jil Sander were some designers that worked the neutral shade. Sometimes going top to toe, other times matched with other earthy shades or some popping colors. Fact is that the camel color is timeless indeed, but a bit extra trendy this fall! As for the street style of Milan fashion week, there was a mix of trendy looks and classic outfits. Adore all the energizing colors and also the floral prints. Chic to go for the distinct color contrasts too. 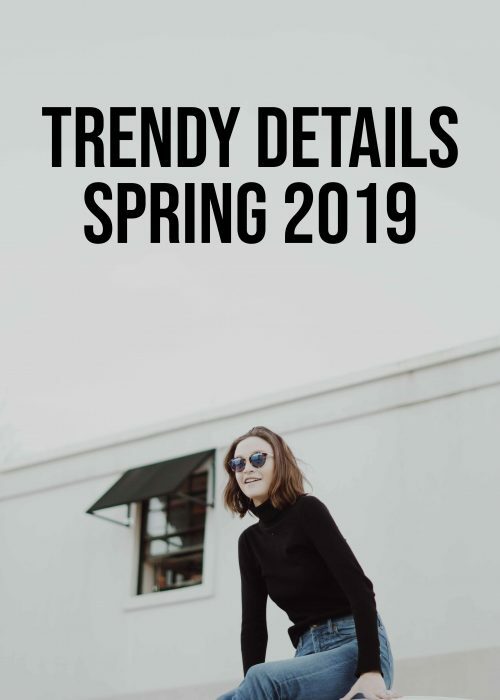 Something that’s definitely trendy and a fun way to explore fashion! I’m generally a huge fan of MFW as many of my favorite designers are presenting in Milan, which makes sense right? I do have to say that MFW really delivered this season too and brought fun, crazy and weird fashion moments: for better or worse. I thought it was a nice mix of romantic fashion and a more gothic tone, I enjoyed all the colors shown. I also like where fashion is heading at the moment with the “more is more” style and that if something, should the 80s be thanked for. Moschino, D&G and Prada are always interesting to watch as they always show something different compared to the rest. I think you’re in for a real treat scanning some runway shows here! Folks! What are your thoughts on MFW February 2018? Did you have a collection you enjoyed in specific? Let’s chat in the comments! I’m hugely into the bright colours and the florals, I’m obsessing over them! That last picture has be crushing on it! Such a great and amazing recap! I always love it how you look at things from different points of views. 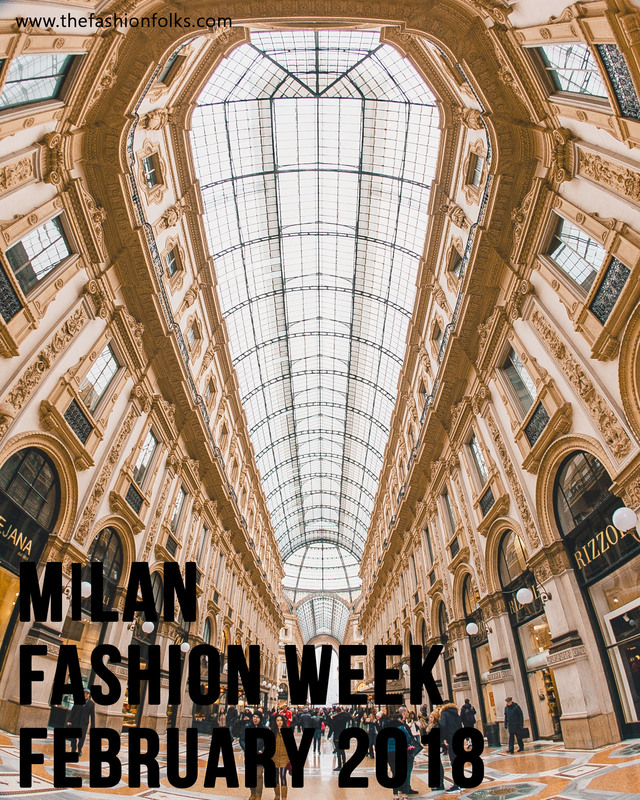 Yes, this Milan Fashion Week really killed it – I loved the over-the-top silhouettes and the maximalism approaches, which often showed up with sporty touches. Versace was one of my fave this season, love the mix and match of colours and different prints. No limits are set when it comes to styling. Great round up and inspo babe! And don’t worry if you’re posting it a week later, the content you share is always remarkable so it is enjoyable even if I read it a week later or whenever. All the best and I always enjoy reading your articles! I’m loving the bright colors that are trending everywhere. It will be a great change of pace for the upcoming season! So many amazing chic look! I am loving the neon from Prada! Milan is such a glam city! I definitely want to see MFW someday! I thought the drones were so creative and an interesting way to highlight the bag itself. It was a great way to integrate fashion and technology.